North Carolina has an odd distinction in having the largest population of famous twins buried in its soil. 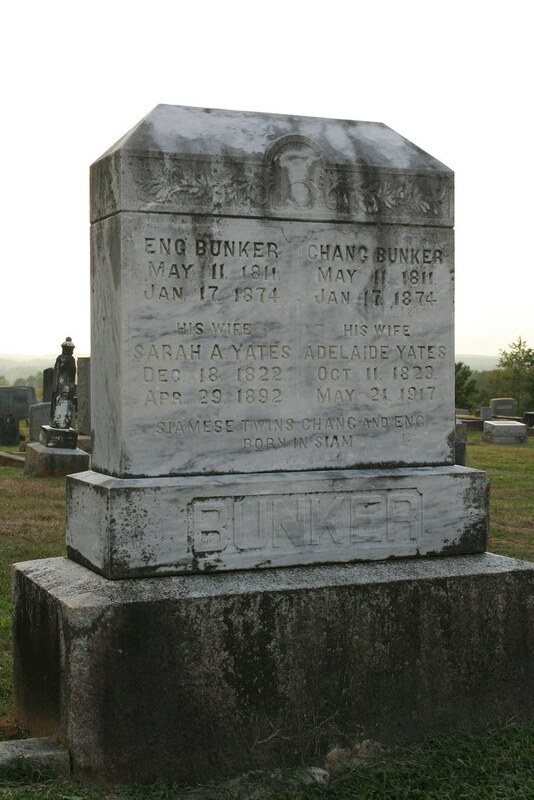 The first of such twins I tracked down were Chang and Eng Bunker. 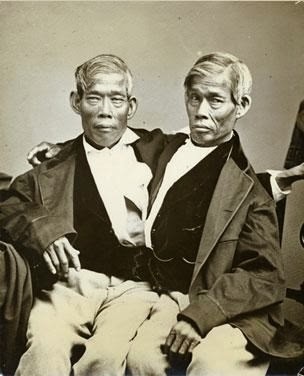 Chang and Eng are the original Siamese twins. Not that they were the first to be born with the disorder, but rather the actual term "Siamese Twins" comes from the fact that the brothers were born in Siam. Chang and Eng would become world famous sideshow performers in the 1800s. After a series of events they would wind up as wealthy plantation owners living in mountains of NC. They married Irish sisters and split time between two homes fathering many children in what must have been an awkward living arrangement. One night Chang passed away due to his excessive alcoholism (Eng did not drink at all). Eng would die the same day. On the official birth certificate Eng's cause of death is marked as "dieing of fright". This would insinuate that he died from from fear of being attached to a corpse, but which I must admit, does sound very scary. On my trip to Mt. Airy, NC (the town that Mayberry is based on) I set out to find their grave. This was a few years before I got a smart phone and I didn't really do alot of planning, so it ended up taking quite awhile. I found that wondering around town asking folksy looking old men was not the best way to go about things. The only advise I got was to go to the funeral home and ask. Unfortunately, the funeral home was closed. So after hours of driving around on the phone with my wife, trying to figure out where I was I finally stumbled upon the right cemetery. And then I had to wonder around the graveyard while my wife explained what the stone looked like. I finally found it before it was too dark to take a picture. 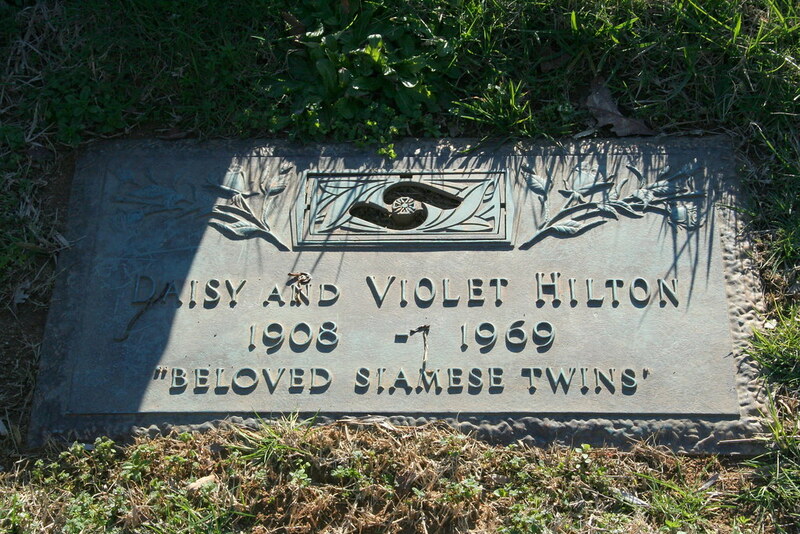 The second set of Siamese twins I tracked down are Daisy and Violet Hilton who are buried in Charlotte, NC. The reason for Daisy and Violet ending up in NC is a little bit more depressing. Like Chang and Eng the Hilton sisters toured the world. 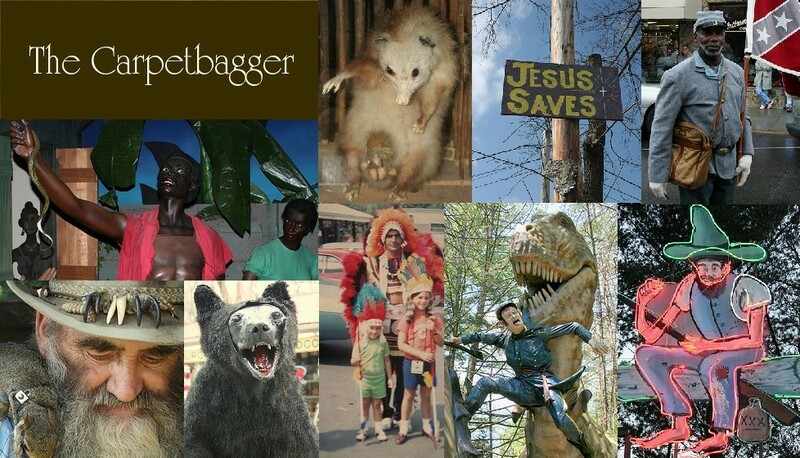 They would be featured in Todd Browning's cult classic film Freaks. The twins would do the their last performance in Charlotte, NC, when their manager would abandon them and run off will all their money. 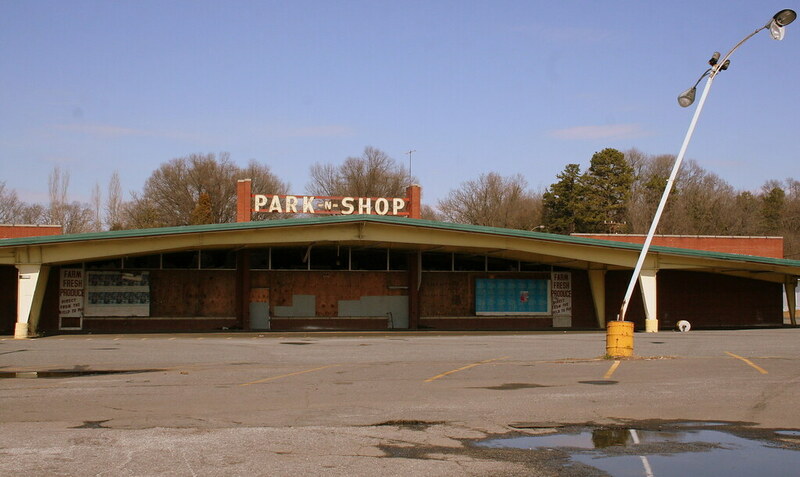 The twins would die penniless in Charlotte. I drove three hours to see this grave, again with not enough preparation and not realizing that the Cemetery would be massive. Wondering around the cemetery reading every grave stone proved very ineffective. I eventually worked up the nerve to go inside the funeral home and ask. 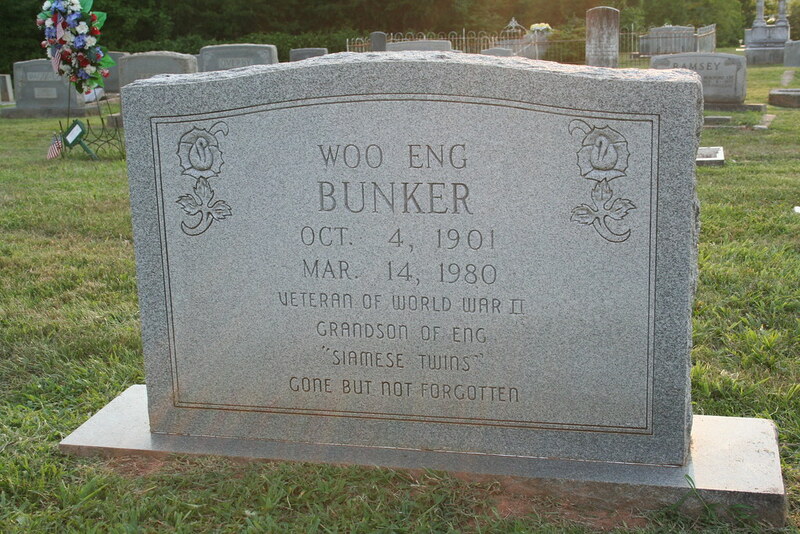 Strangely enough, the woman in the front office had no idea that the twins were buried in the cemetery, but did remember them from when she was growing up in Charlotte. The lady had remembered that the twins had worked as cashiers at the local grocery store, ringing and bagging groceries at the same time. The lady found another lady who was kind enough to take time away from directing a funeral to drive me out and show me the grave. 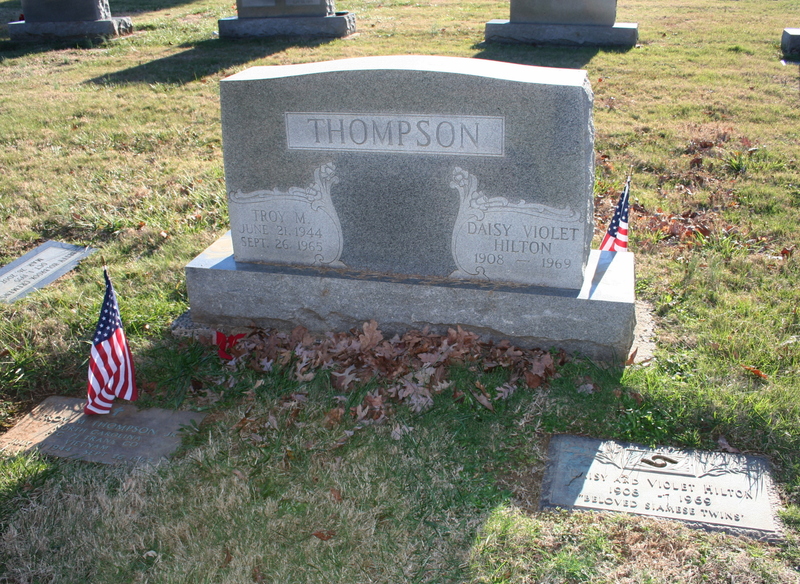 As it turns out the sisters were too poor at the time of their death to afford their own grave stone, so the Thompson family allowed them to use half of their friend Troy Thompson's grave and be buried in his plot. 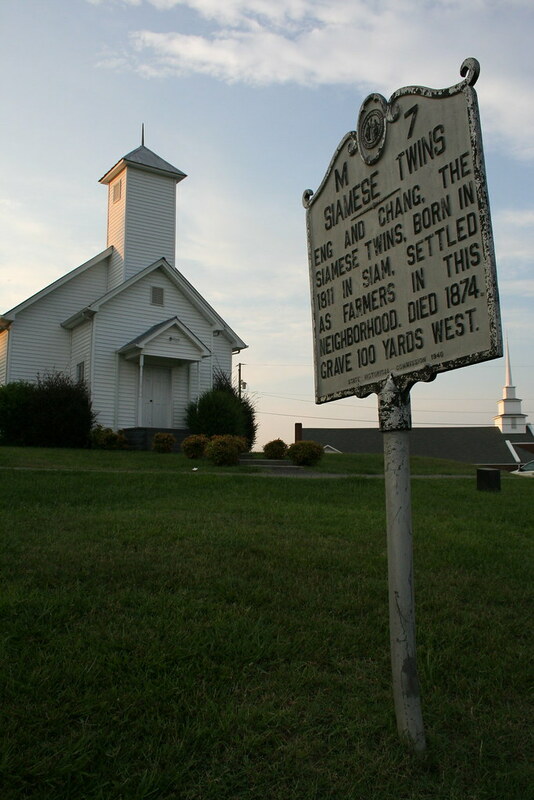 Now there is actually one more set of Siamese twins buried in NC, but sadly I have not yet made it out to see them, but it remains firmly on my bucket list. Millie and Christine McCoy were a pair of Siamese Twins born to slaves in Whiteville, NC. Hopefully I can make it out there to pay my respects. Keep in mind though, not all famous twins are attached to each other. Have you seen this iconic picture? I remember seeing it in a Guinness World's Records book as in elementary school. 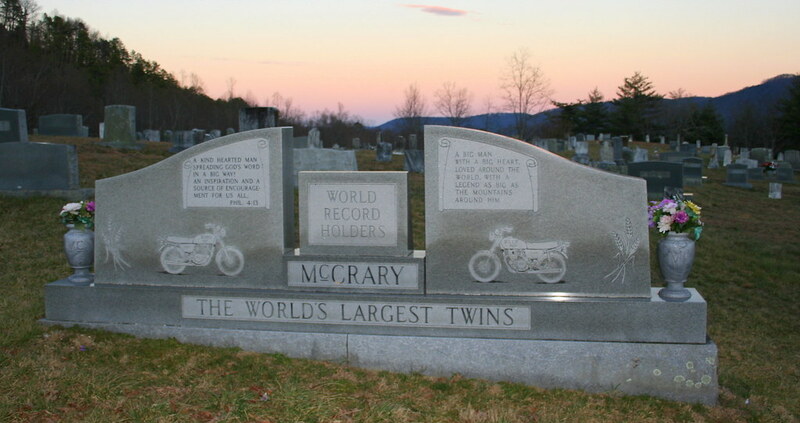 They are the McCrary Twins, the largest twins that ever lived. 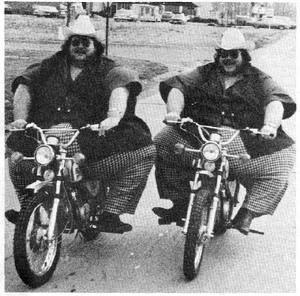 The brothers were also professional wrestlers, where they went by the name "The McGuire Brothers". They stated that they did not use their real names when wrestling because when they wrestled in Japan the announcers would have difficult saying their names and referred to them as the "Queery" brothers. In their own words "we ain't no queers". I was elated to find out that the twins were buried in Hendersonville, NC not to far from where I live and I managed to visit them before the sun went down on my way back from seeing the Hilton sister's grave. Now that is a grave that does the twins justice. The North Carolina Tourism Bureau really needs to play up the famous twin angle a little more.